The fine haired Escoda Optimo Kolinsky sable forms a soft brush head, which is great for delicate, controlled work. 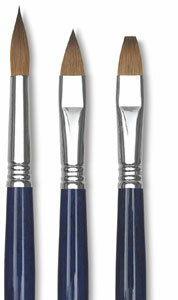 Escoda cures the brush hair resulting in remarkable spring and resilience. 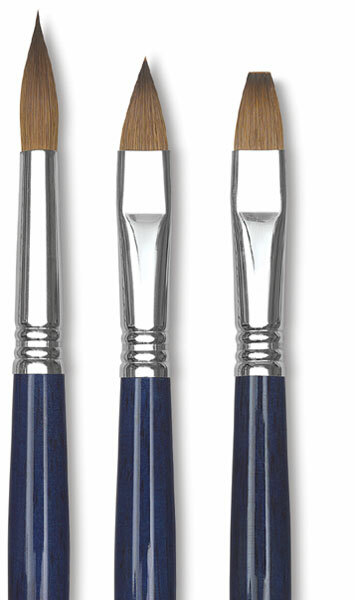 The long, lacquered blue wood handle offers superb control. It's attached to the nickel-plated brass ferrule via Escodas exclusive triple crimping process.